Enterprise Content Management (ECM) is a formalised means of organising and storing a company's documents and other content relating to the organisation's processes. It encompasses strategies, methods, and tools used throughout the lifecycle of the content and focuses on documents management, digital media management, records management and web content management. The advantage in working with Jicho is our ability to deliver an entire end-to-end ECM solution. From forms, e-signature, to workflow, to cloud portals, custom solutions and more, we have the track record, experience and team to deliver. Enterprise content management (ECM) and business process management (BPM), while separate technologies, often overlap. 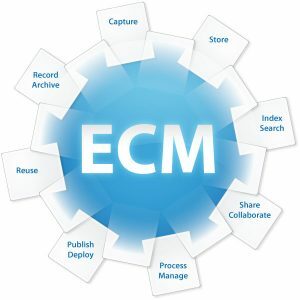 Among others our ECM product have content management features along with other capabilities like Indexing, e-signatures, compliance, Records Management, robust security, content integration, content collaboration, archive, other non-functional aspects etc. This days organizations are faced with an explosion of data across the enterprise, but government regulations have enterprises to store their data for long periods. So it is difficult and time-consuming for enterprises to categorize and retrieve records on-demand. Jicho's ECM services provide end-to-end services to meet these growing challenges.Our ECM services provide a focused approach to generate, capture, distribute and archive your organization’s entire enterprise ecosystem of critical and unstructured assets, media and electronic information. We provide ECM advisory, design, implementation/go-live and support services, which we continually refine through our dedicated center of excellence. Enterprise Content Management (ECM) services from Jicho span the whole range of ECM, addressing document management, records management, customer communication, web content management, digital assets management and Business Process Management. 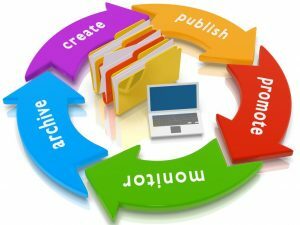 These services help enterprises to keep data repositories organized, integrated and up-to-date. New perspectives. New ways of working. New services. Jicho's services portfolio helps you optimize and improve business performance. In this ever changing market, you need to make sure your application is able to meet business objectives and upgrading your systems with the best methodology and approach to ensure business processes are unifying with business goals. Our upgrade service includes Upgrade Assessment, Technical Upgrade, Customization, Transitions, Re-implementation and Platform Migration. Over a decade we have delivered measurable business value to our clients globally by managing and maintaining various applications and systems. We have made significant investment in technology solutions by establishing our center of excellence and building a strong pool of dedicated experts to deliver quality support services including Application Support, DBA Support, Systems Administration, Bug-Fixing, Performance Tuning, Multi-level Maintenance and Troubleshooting. We assist companies of all sizes and industries to undergoing a digital transformation, to modernize operations and overhauling infrastructure to better serve customers, partners and employees and respond more quickly to changing market conditions. Jicho understands that Process management capabilities lay the foundation for an agile digital business. 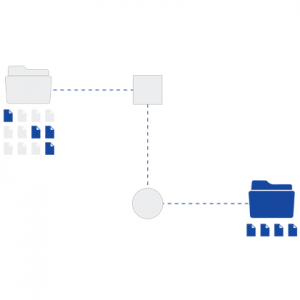 Simple tools let business users design and adapt their own processes. Dynamic processes allow people to break out of rigid workflows and collaborate on issue resolution. And the integration of content with process adds intelligence to automated information flows so employees work more efficiently and effectively. Jicho will assist you to implement an ECM system designed to fit your business — not an IT department, we know that It’s not enough to “manage” content. The ability to access the correct version of a document or record is important. Content must be managed so that it is used to achieve business goals..